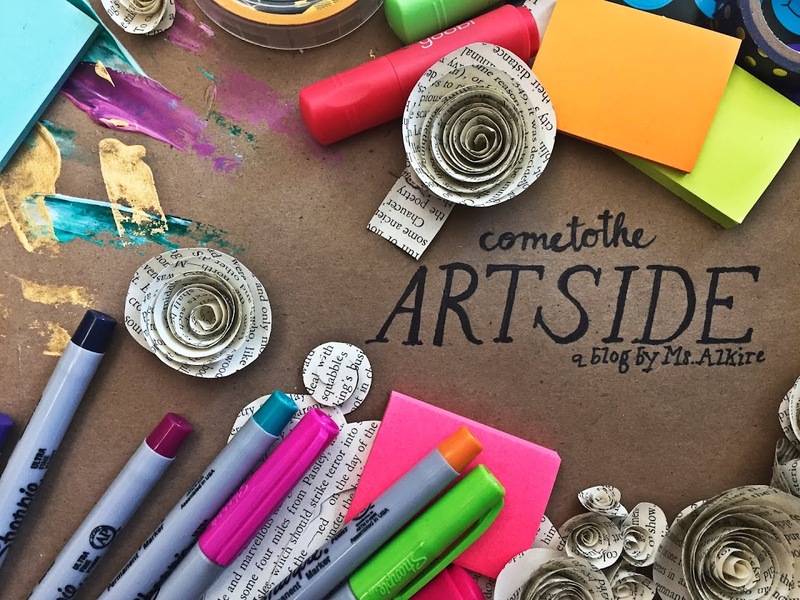 come to the Art side: Summer Slow Down: Is it REALLY art? Summer Slow Down: Is it REALLY art? Sometimes as an educator I get faced with the question: Is what you're teaching really ART or is it more like CRAFTS? For one thing, I don't really put them into categories anymore. Crafting in it's own right is an art form and there are many artists who use things that people would call "craft-y" for their main medium in art. Who am I to put a label on what they love to do? And after reading these definitions I don't think that they create a division in what art/craft is, but they actually work together. Two sides to the same coin, can't really have one without the other. I understand that there are complex thought processes that go into creating a "spectacular" work of art. Technique, concept, these things take practice. That being said, you cannot reach proficiency in anything without the basic fundamentals the foundation of it all. Which is why I teach what I teach, the elements and principles of art! Without this basic understanding it becomes difficult to go beyond, to reach further. Let's just say that without these basic cornerstones, no child or adult can move forward and create their own unique masterpiece. So as an elementary art teacher that is what I provide for students and it is amazing to see them grow and learn with eyes wide and unhindered by what others think of as "spectacular" or not. Have you ever been confronted with this question before? What was your response? Tune in next week for a small blog about the Art of Education 2014 Online Summer Conference! Labels: come to the Art side, elements of art, fundamentals of art, is it art?, what is art?